This is an exciting time. We are one week away from gorgeous room reveals. Want to know what else is exciting? Here're Candice and Andy from the Home Love Network with the details. What do you need to do to be considered? Just linkup your finished One Room Challenge™ post on Thursday, November 16th - Sunday, November 18th (linking closes on Sunday at midnight). The Home Love Network will select a room and announce a winner on Monday, November 27th! You can follow their Win This House series, here. And, if you haven't entered for a chance to win the house, you have one more day to enter. Don't forget to tag @homelovenetwork on your finished ORC room! 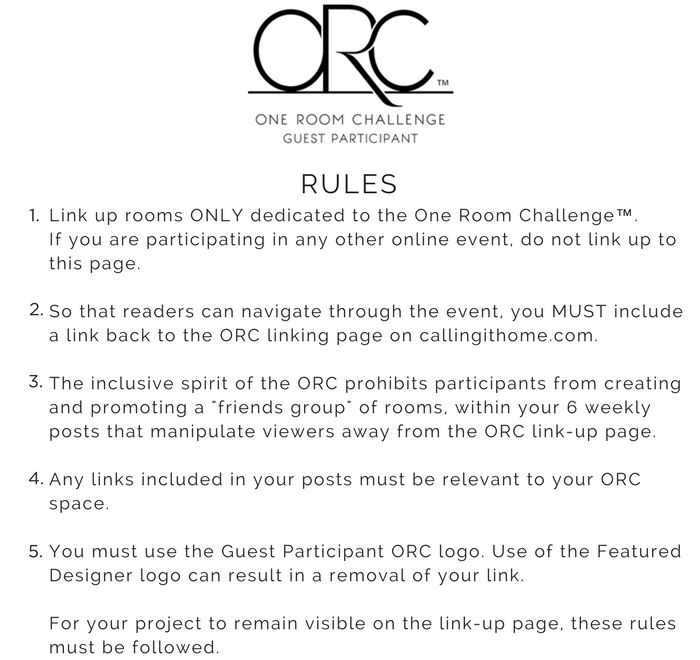 Next week, more exciting news when the selection process is announced for two lucky ORC Guest Participants to be chosen as Featured Designers for the spring 2018 One Room Challenge™. I'm excited to see all of the progress! Remember to 'subscribe' to the sites you are enjoying. It's always great to receive an email post from one of your favorite sites. And don't forget to enter the Win This House sweepstakes.